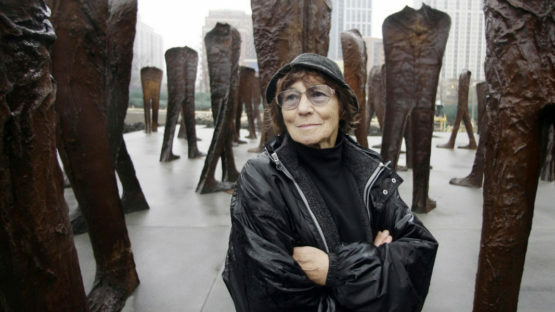 Following her education at the Academy, Magdalena Abakanowicz began to produce her first artistic works. Due to the fact that she spent most of her academic life moving from place to place, much of her earlier artwork was lost or damaged, with only a few, delicate plant drawings surviving. Between 1956 and 1959, she produced some of her earliest known works; a series of large gouaches and watercolors on paper and sewn-together linen sheets.